On Thursday, November 7, LVMH hosted its first “Committed Companies Dinner” to support the fight against sickle cell anemia, one of the most widespread genetic disorders in the world. Sponsored by Antonio Belloni, Group Managing Director, and Chantal Gaemperle, Group Executive Vice President, Human Resources and Synergies, this initiative is emblematic of LVMH’s investment in causes in which it strongly believes. LVMH has always considered economic performance and a commitment to support those in need as inseparable elements of success. The dinner took place at the Jardin d’Acclimatation, organized by the LVMH Social Development and Environmental departments. 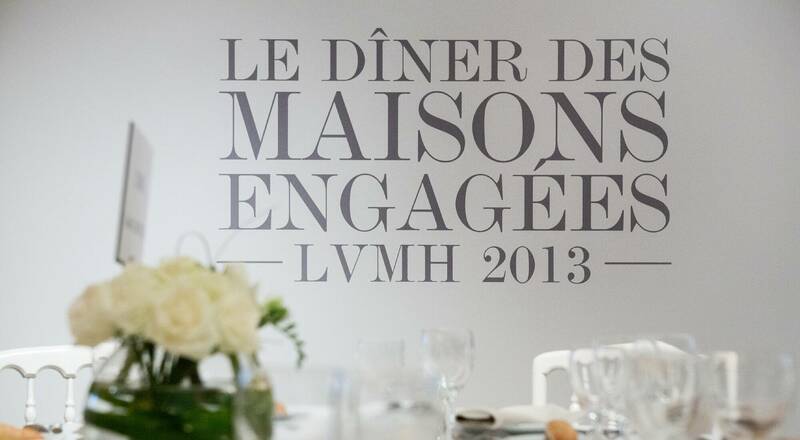 Several presidents of LVMH companie talked about aspects of the Group’s commitment, joined by around 200 guests and personalities engaged in corporate citizenship. Funds raised thanks to this event will be donated to the Robert-Debré pediatric hospital in Paris and its world-renowned sickle cell disease and treatment center. Sickle cell anemia is a hereditary genetic disorder that affects nearly 50 million people around the world (including 15 to 20 thousand in France). In France, nearly 250 infants are born with the disease each year, making it the most prevalent genetic disorder. Funds raised will enable physicians to pursue their research and care of patients under optimal conditions. Their work has already been facilitated thanks to an initial donation by the Group. Professor André Baruchel and Doctor Malika Benkerrou will share the positive impact of this financial support during the evening. “This event celebrates the sense of solidarity that defines our Houses,” said Chantal Gaemperle. The participating companies represent every branch of the LVMH Group: Wines & Spirits (Moët Hennessy, Moët & Chandon, Ruinart, Veuve Clicquot, Hennessy, Moët Hennessy Diageo, Estates & Wines), Fashion & Leather Goods (Louis Vuitton, Kenzo, Givenchy), Perfumes & Cosmetics (Guerlain, Parfums Christian Dior, Fresh, LVMH Fragrance Brands, LVMH Perfumes & Comestics Research), Watches & Jewelry (LVMH Watches & Jewelry, Chaumet, Fred), Selective Retailing (Sephora, Le Bon Marché), as well as Dior and the Jardin d’Acclimatation. The LVMH Group supports fundamental international charters and agreements, testifying to a deep respect for the values and principles that inform its corporate culture. These include the Universal Declaration of Human Rights, the United Nations Global Compact, the OECD Guidelines and the basic conventions of the International Labor Organization. The Group’s companies are actively involved in this commitment to exemplary social responsibility. Their achievements are detailed in the first report on LVMH Social Responsibility Initiatives, which spotlights major actions taken by Group brands. 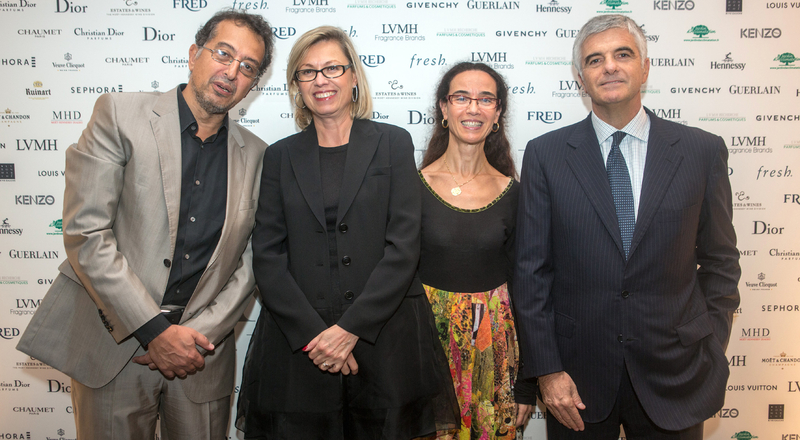 LVMH is included in the Dow Jones Sustainability Index (World and Europe). 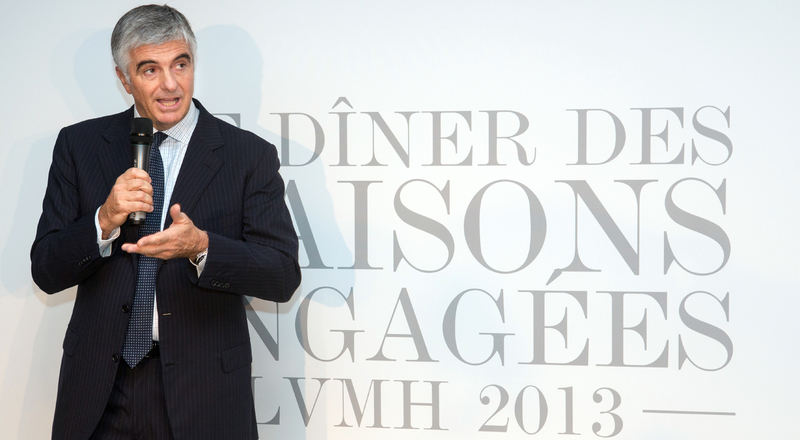 In late 2012, LVMH received the Corporate Citizenship Award and was recently recognized for its LVMH RISE program at the Diversity Awards.